This gorgeous sunset lingered and smoldered in technicolor glory for longer than seemed possible. 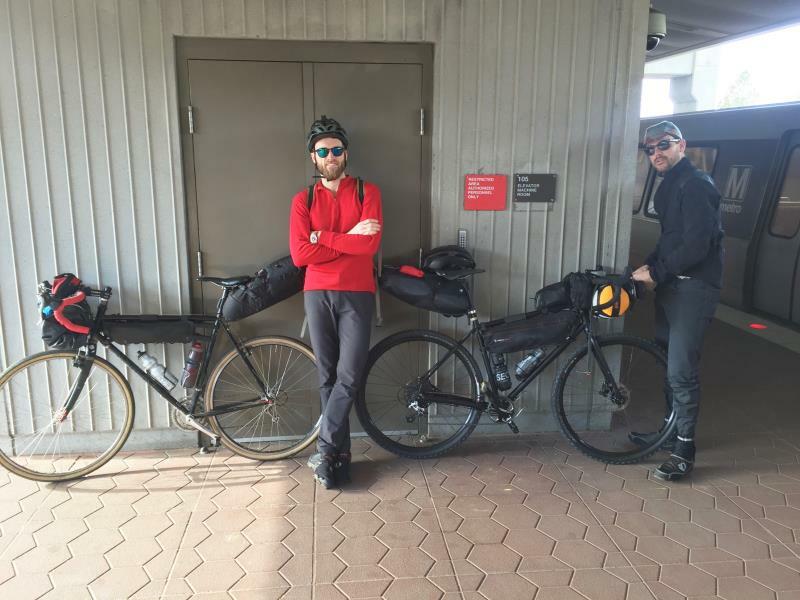 Maybe we were riding so quickly westward that we were keeping pace with earth's rotation? What do you do when all of a sudden you have two days off work and you want an adventure immediately? You call Chris "RouteMaster" Tank and he delivers. No car? No reservations? Its January? 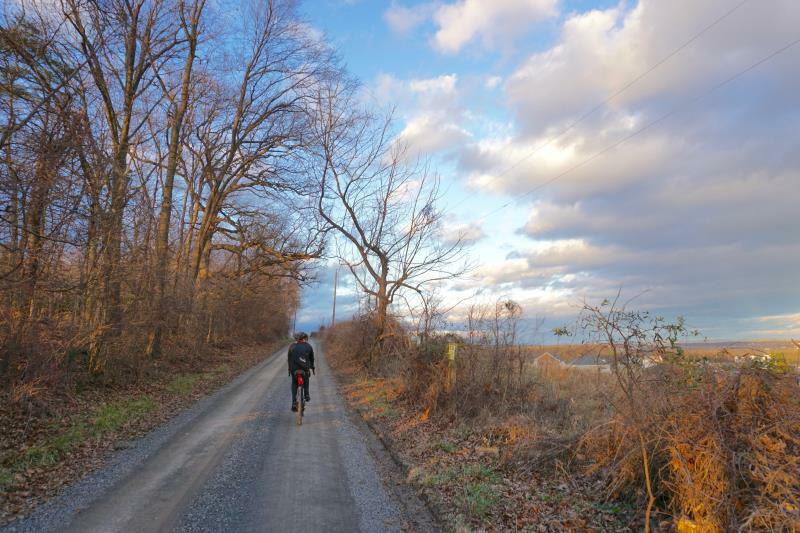 You want a mix of road, gravel, and maybe a touch of singletrack? Glorious sunsets, views, and of course stops for Virginia Country Ham sandwiches at all the old country stores? We got you. 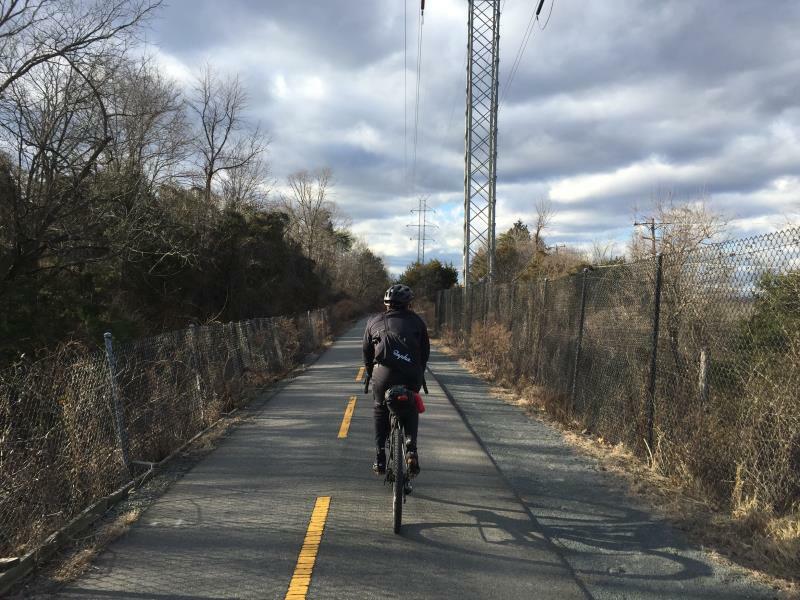 We used metro to expedite the urban exodus and started the ride from the Reston Metro. 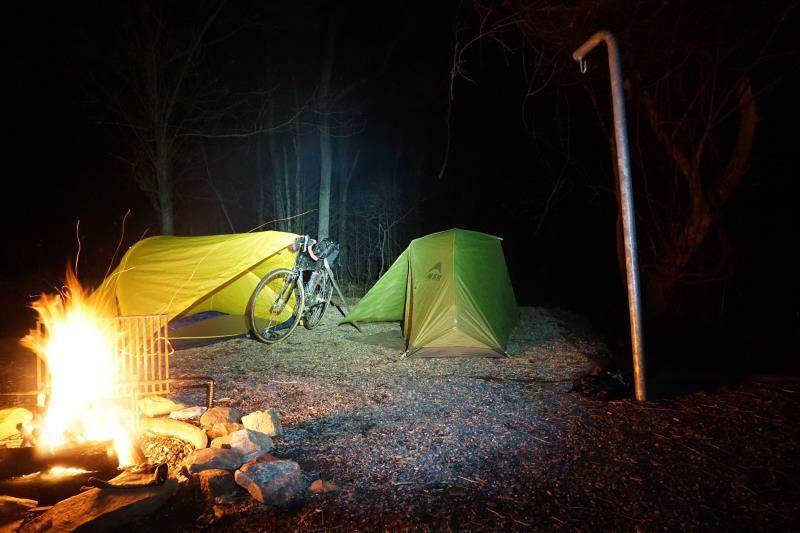 This was also my first time testing out a "bikepacking" set up. 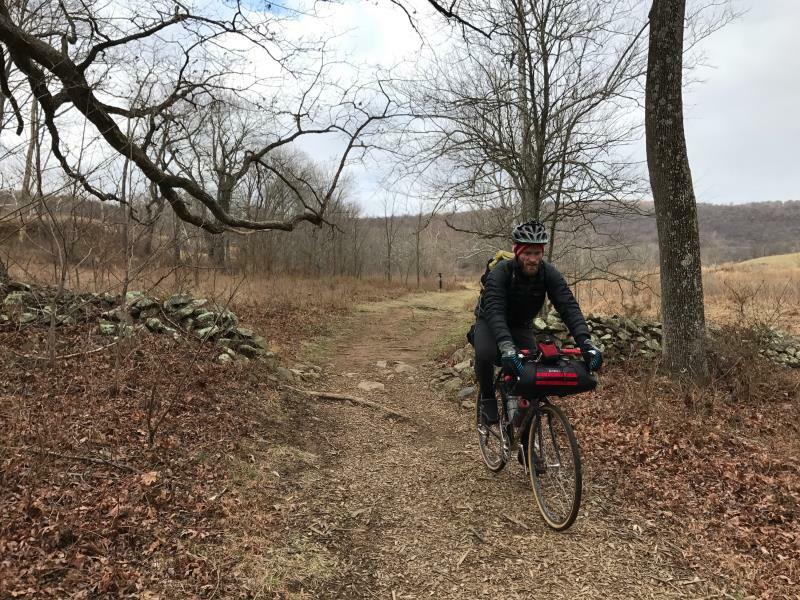 The bikepacking set-up is noteable as an slight departure from the century-old concept of biketouring mostly for two reasons: 1) the ultra-light nature of the kit you bring and 2) a style of pack (handlebar, frame, & seat) that works well on mountain bikes. I could see this set-up being lighter and more stable enough for the multi-day wilderness mountain bike rides I'm planning for the year. 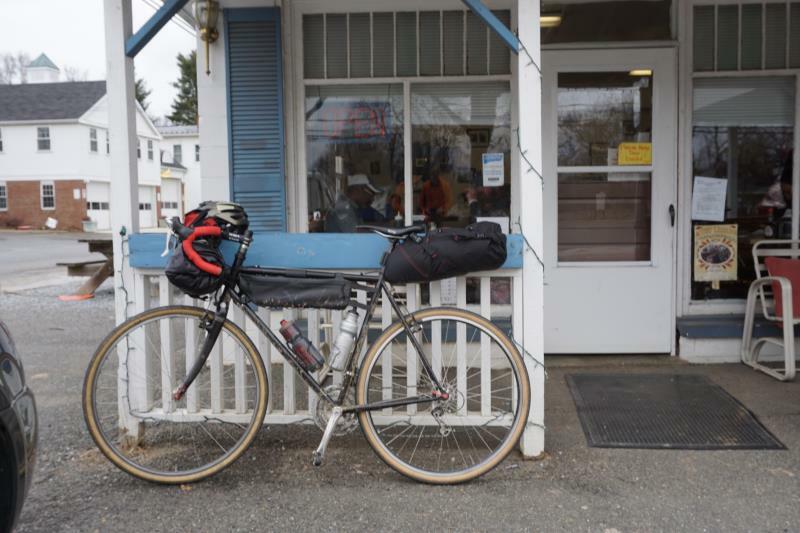 However, classic touring panniers and handlebar bags are waaaay easier to get things into and out of (which you do a lot as you eat and change layers on a tour). They also keep weight lower on the bike, which increases balance. I'm looking forward to using this bikepacking set-up on singletrack and staying minimal on tours...but I also still think panniers and a classic handlebar bag are the best choice for roads - gravel or pavé. 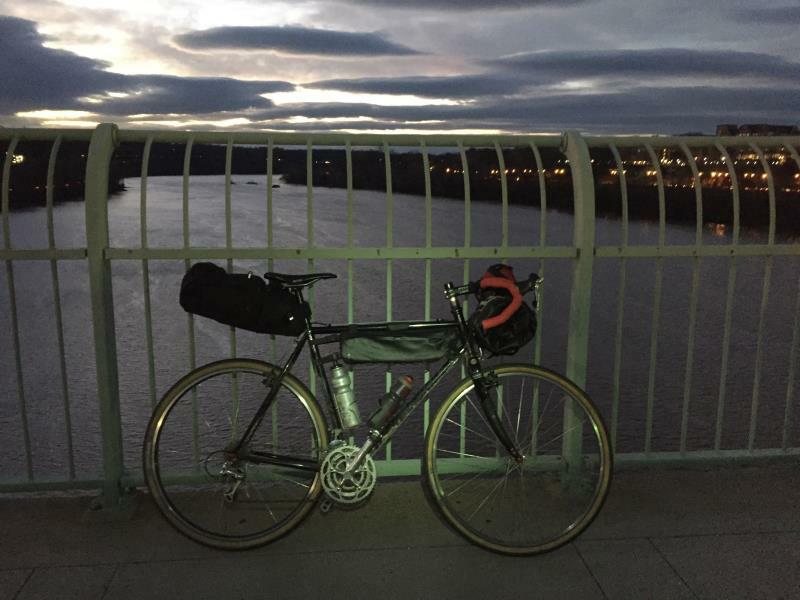 I think the only reason you'd want a "bikepacking" set-up for a road bike is if your bike couldn't accept a rear rack...and I'd never advise anyone that isn't a semi-pro racer to buy a bike you can't put a rack on because I am have utilitarian retro grouch tendencies. From the metro, 15 mellow warm-up miles on the W&OD bike path. It's still better than a trainer. Shortly after you hop off the bike path the road surfaces and terrain start to get more interesting. 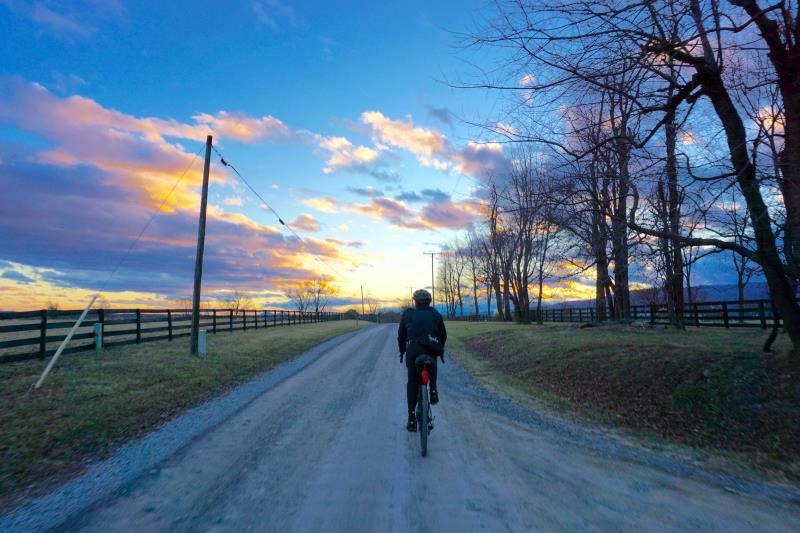 We stopped in Upperville and stocked up on calories at the country store, then rode out to Sky Meadows under the cover of darkness. The bit of singletrack on the way to the campsite was fun and the campsites are fantastic, though note you must filter your water. Cruising out of camp the next morning. When you see a good diner in a tiny town, you gotta stop to check it out for posterity's sake. Here we are at breakfast number 2. 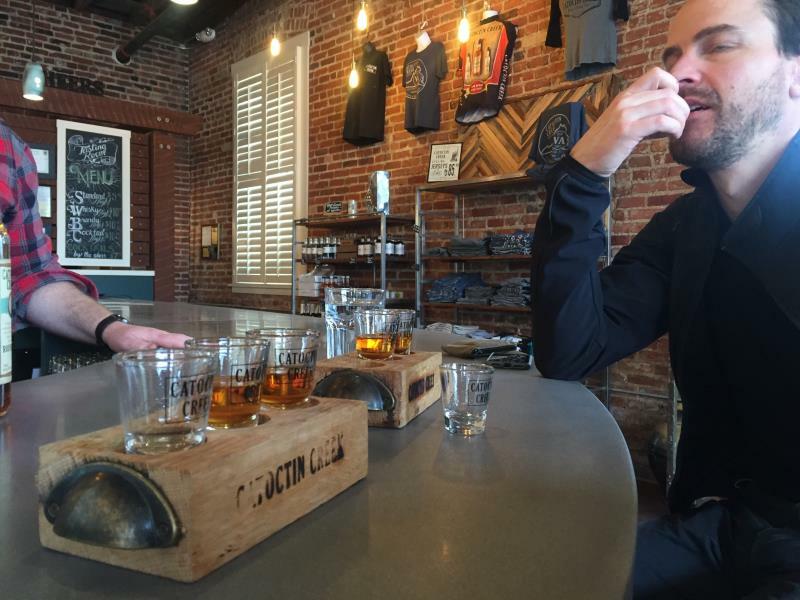 Purscellville has a legendary vintage bike shop, a brewery, and the Catoctin Distillery. The dudes imbibed. Made it back to DC as the sun set over the Potomac - a triumphant 28 hour adventure!